Pure Beeswax Candles, Hand-made in Canada. The Honey Bee Store, Ontario, Niagara and online. Beeswax is a natural and the purest of all waxes created by the honey bees and is almost unprocessed by humans. 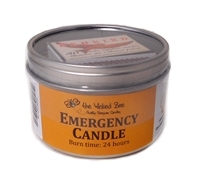 Beeswax candles purify the air eliminating dust, mold and allergens. They are non-allergic, dripless, long burning and have a pleasant honey scent.